This first anthology of writings by British artist and filmmaker Lis Rhodes features texts dating from the 1970s to the present. 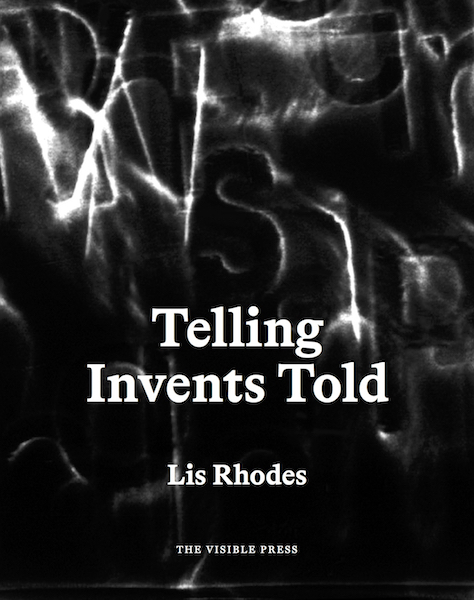 Telling Invents Told is the first collection of writings by artist and filmmaker Lis Rhodes. It includes the influential essay Whose History? alongside texts from works such as Light Reading, Pictures on Pink Paper and A Cold Draft, together with new and previously unpublished materials. Since the 1970s, Rhodes has been making radical and experimental work that challenges hegemonic narratives and the power structures of language. Her writing addresses urgent political issues – from the refugee crisis to workers’ rights, police brutality, racial discrimination and homelessness – as well as film history and theory, from a feminist perspective. 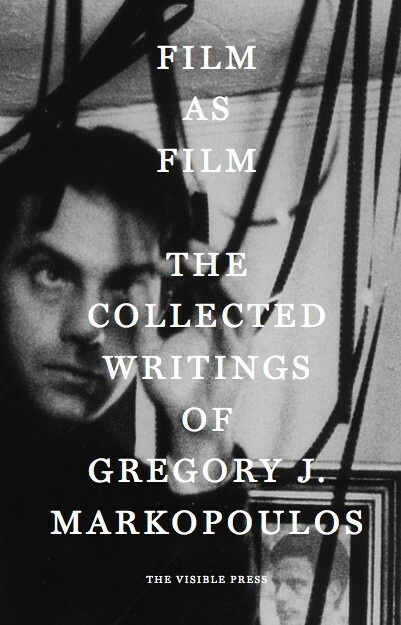 An important figure at the London Film-Makers’ Co-operative, Rhodes was also a founding member of Circles, the first British distributor of film, video and performance by women artists. Lis Rhodes makes radical and experimental films and videos that challenge the viewer to reconsider the moving image as a communication medium. She uses film, performance, photography, writing and political analysis to explore the impact of language on perceptions, interactions and social relationships. Rhodes attended North East London Polytechnic and the Royal College of Art, and has taught at the RCA and the Slade. A key figure at the London Film-Makers’ Co-operative, where she was the cinema programmer, she was also a founding member of the feminist film distribution network, Circles. 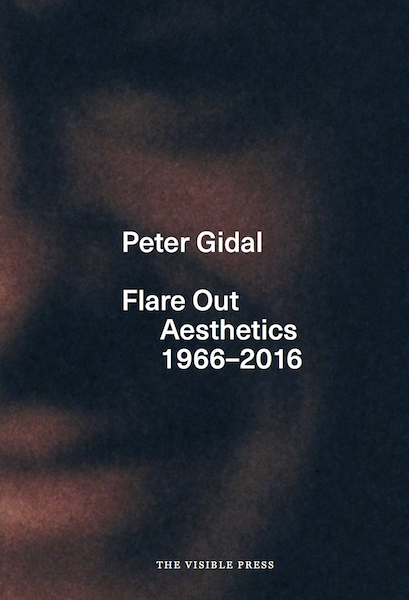 She served as Arts Advisor to the Greater London Council from 1982 to 1985. Rhodes’ works are in the collections of the Centre Georges Pompidou, Tate Modern and Arts Council England, and have featured in The Video Show (Serpentine Gallery, 1975), WACK! : Art and The Feminist Revolution (MOCA LA, 2007), The Tanks: Art in Action (Tate Modern, 2012) and Insomnia (Fundació Joan Miró, 2013). 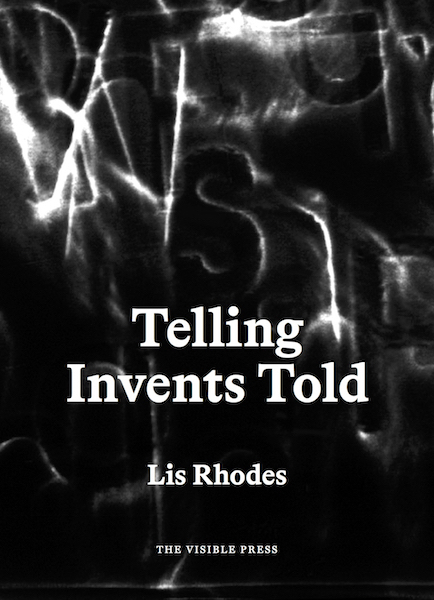 The publication of Telling Invents Told coincides with the major exhibition Lis Rhodes: Dissident Lines at Nottingham Contemporary (May to September 2019). A previous career survey, Lis Rhodes: Dissonance and Disturbance, was held at the ICA in 2012. Rhodes received the Paul Hamlyn Foundation Award for Artists in 2012 and the Freelands Award in 2017. She lives and works in London. London-based film curator María Palacios Cruz is a co-founder of The Visible Press, Deputy Director at LUX, and a programmer for the Punto de Vista and Courtisane festivals. She is the course leader for the Film Curating programme at Elias Querejeta Zine Eskola (San Sebastian) and has previously taught at Kingston University, Central Saint Martins, École de Recherche Graphique and Académie Royale des Beaux-Arts de Bruxelles. 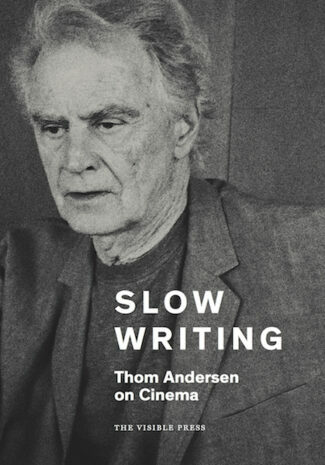 Her writing appears in numerous exhibition catalogues and publications such as L’art même, art-agenda and Sight & Sound.